Who doesn't love Lil Pump ?!? 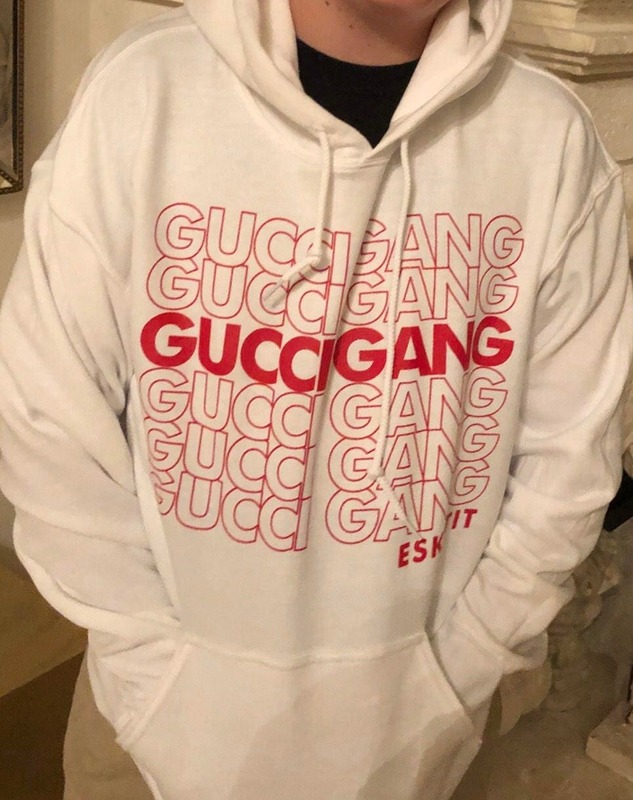 Everyone needs to belong to the Gucci Gang ! Be super comfy cool in this white blended hoodie. Perfect for weekend hanging out. Great design. Nice sweatshirt. Good fit.